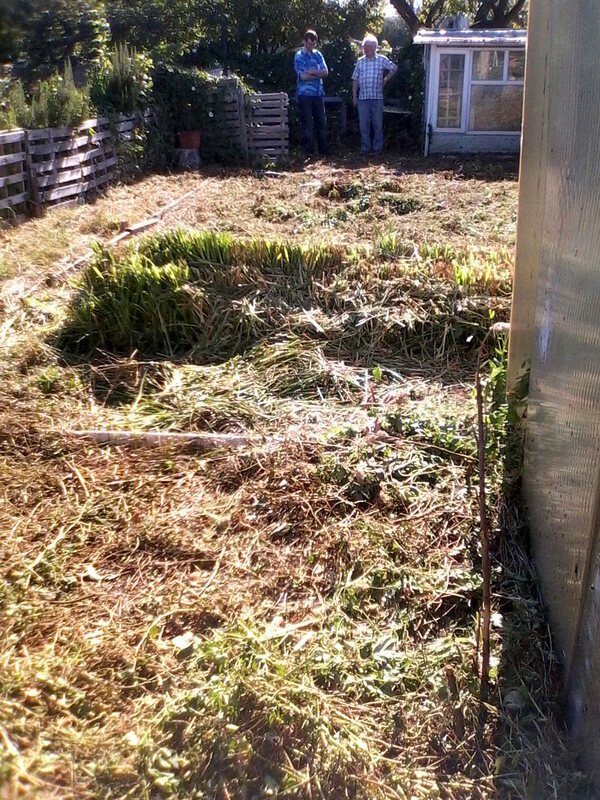 Back in September 2012, Mister and I inherited our allotment. To mark this event, I wrote a haiku and posted this picture. Next year, fruit and veg. And this was what it looked like the following Spring, with all the ground dug and seeds planted. Followed by a bountiful summer of vegetables and a noticeable reduction in our food bills; although we didn’t have much fruit in the first year, apart from rhubarb. Below, is a picture of a typical weekly harvest in late summer. And for anyone who hasn’t seen the picture of the giant marrow, here it is in all its glory (grown without fertilisers or artificial chemicals of any kind). So far, on the vegetable front this year, we’ve had spinach, potatoes, globe artichokes, and lettuce. There would have been a greater variety of things but we lost a whole load of seedlings to slugs and snails, with us finally resorting to beer traps. Birds had a go at the seedlings, too, when they’d have been better employed pecking away at gastropods. 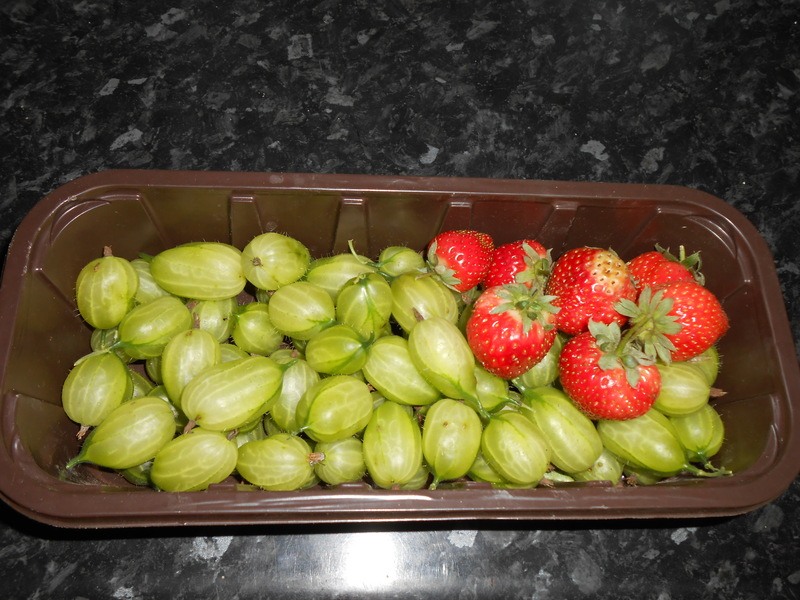 Fruit-wise, we’ve had far greater success, with the usual rhubarb and a decent crop of huge, not-to-sour gooseberries, strawberries, and raspberries. In fact, for the last month, I’ve had strawberries or raspberries with my breakfast every morning and they’re so much tastier and sweeter than those sour shop-bought ones. Mister commented that he’d seen a small punnet of strawberries on sale for £3.00. From this, he concluded that we’ve paid for our allotment for the year from what we’ve saved by growing our own fruit. Over the next couple of months, we’re expecting bumper harvests of all sorts of other goodies, so look out for regular allotment updates. It’s so much tastier than the supermarket veg and bursting with antioxidants that make me feel energised. 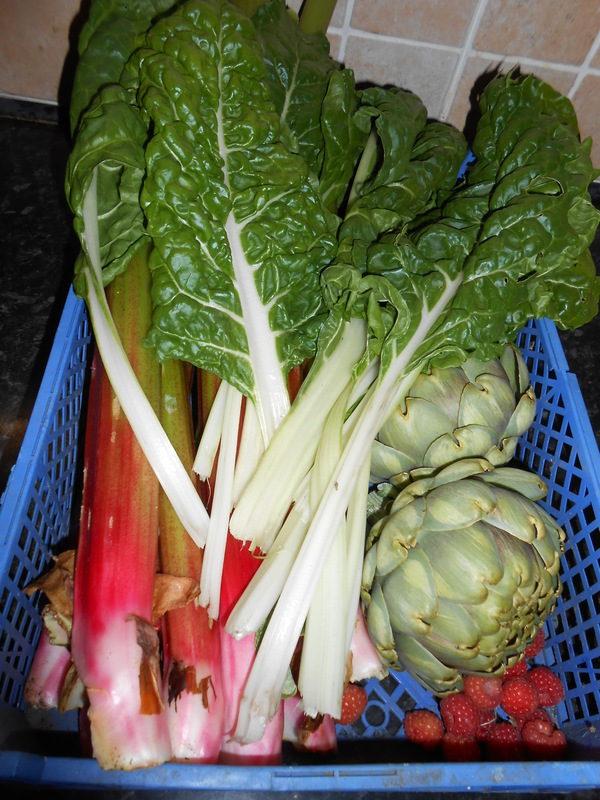 I miss all the produce in the winter and unfortunately I’m not keen on Brussell sprouts! I miss my old allotment. Sigh. 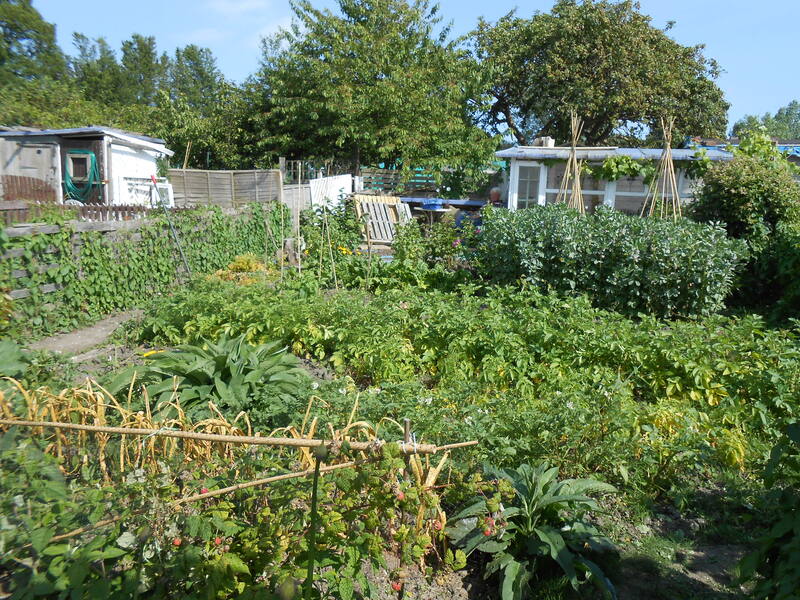 How big was your allotment and why did you give it up? It was quite a big one, I’d say about 15 feet wide and more than 30 deep. WQe gave it up because we moved house. It provided fresh green salad for two summers, some nice Halloween pumpkins, berries, asparagus, spuds. It was very popuylar with the kids when they were small. We waited three and a half years for ours, so guess we were really lucky. There’s a tap just next to our gate. Also an allotment shop and toilets on site. Our patch includes a makeshift greenhouse and a summerhouse, and it’s all fenced in. I’m certain I couldn’t grow a thing, or I wouldn’t have the patience required. I’ll continue to live in blissful acceptance of shop-bought. Yes, it certainly shouldn’t be a torture growing your own food:-) Nothing wrong with shop produce. We shop for stuff too. Look at all of those delicious foods! Previous Previous post: Wordless Wednesday — Slow worm, the Garden Hero that Eats Slugs!